Triple J&B Met Champion, Pocket Power, could be aiming at the $6million Dubai World Cup in 2010, so says victorious trainer Mike Bass. Surrounded by well-wishers following Pocket Power’s historical performance in front of a 35000 plus Kenilworth crowd on Saturday, Mike Bass said he is considering a Dubai campaign next year. Business Day racing editor, David Mollet, writes that Pocket Power, a gelding by Jet Master, is likely to be stabled with reigning South African Champion Trainer, Mike de Kock, in Dubai. 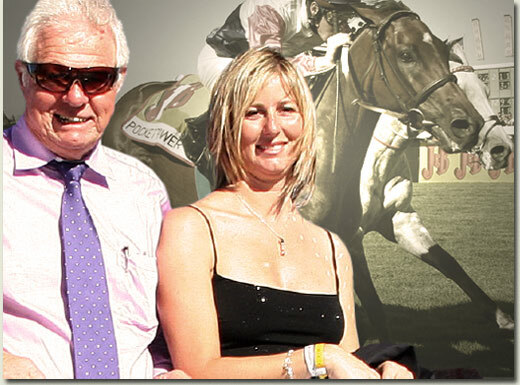 Mike Bass had previously felt that the training tracks in Dubai did not suit his injury-prone star, but new facilities are near completion and Pocket Power could add to his bankroll, which now stands at R7.7million. Saturday’s J&B Met was billed as a classic duel between Pocket Power and Dancer’s Daughter, and so it panned out as the pair battled to the line. Jockey Bernard Fayd’Herbe displayed fine skill as he maintained Pocket Power’s advantage throughout the final 200m, to claim victory by a neck. Justin Snaith, the bullish trainer of Dancer’s Daughter, had predicted that his UK-bred mare, a daughter of Act One, could topple Pocket Power, and shortly after the race he asked Mike Bass as to whether he would consider a match race in a few weeks’ time. Pocket Power will now be rested before heading to the KwaZulu-Natal racing season, where he may again challenge for victory in South Africa’s most famous race, the Vodacom Durban July.